Since I have started keeping up a blog in late 2006, I have always heard my seniors say "never apologize for being busy, missing or not keeping up regular posting schedule". I get that. A blog is primarily meant for fun. Or at least it started that way for most. It did for me. My blog is not my job. I don't make a living from it and we do need to be a two income family. By a twist of hard work and continued practice, the blog gave me a very busy and very fulfilling career. And right now, I feel the pages and regularity of the blog escaping me. I think about that dessert I made and photographed and not yet posted. About the soup we ate for lunch and dinner almost three days in a row it was so incredibly delicious. I start formulating the sentences that would bear enough meaning to tell you about the ribs we grilled and devoured with blue cheese coleslaw the other day before getting caught in the rain. On our patio. Soaked. Yet happy with full belly and lots of cheers with friends. I blog in my head a lot these days. Lot less on paper. In the shower, while others sing out loud, I start sentences peppered with just the right amount of seasonal flair and fresh ingredient. I think long and hard about other words for "fragrant" as I tie my shoes or put the leash on the dogs. As I back up files and archives all my work at night, I dream of a blank screen where I can start a post. So, yes, unlike my seasoned senior fellow bloggers, I am saying "sorry folks if I am not as often here on this page as I would like it to be". It's all good though. Things are busy here but all "oh so" awesome. 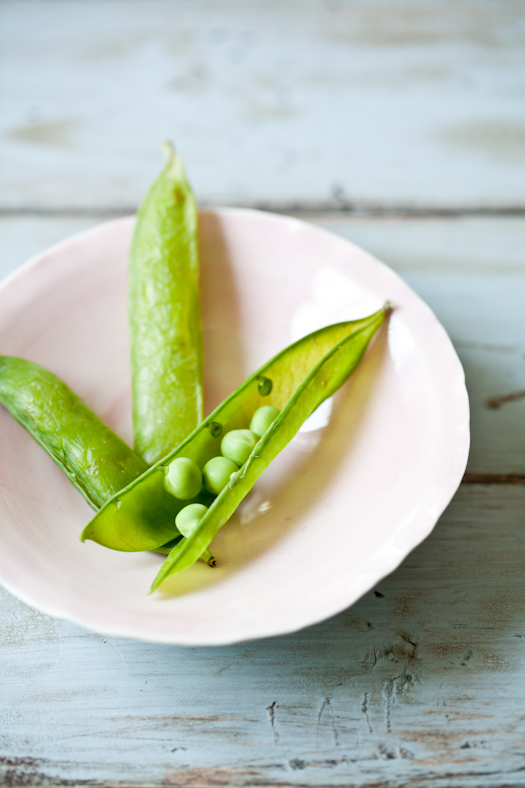 Lots of fun shoots, more for Food & Wine, Le Creuset and One Kings Lane, prepping lots of fun workshops for the summer and planning a few more commercial and editorial shoots in the middle. Never a minute to slow down. And I would not change it. This is it. This is life. I can only do this once. I am also taking the time to slow down, sigh and regroup. By coming here. By cooking some wholesome foods. By committing to the farmers market every Saturday. The colors, the smell, the care and the love that everyone puts toward giving us healthy materials to feed our bodies and soul... All very motivating and inspiring to get in the kitchen, tie my apron on, sharpen my knives, cling my wooden spoons (they are my ruby red slippers) and find comfort in the things I can explain and seemingly have control a little. Soups are definitely one of those things that we like to sit in front of in the evening. Especially when we can sit down together, pour ourselves a glass of wine and talk. No other interruption than his band stories or geek talk over equipment. It does not matter if it is 50F or 110F outside, soups are always welcome. 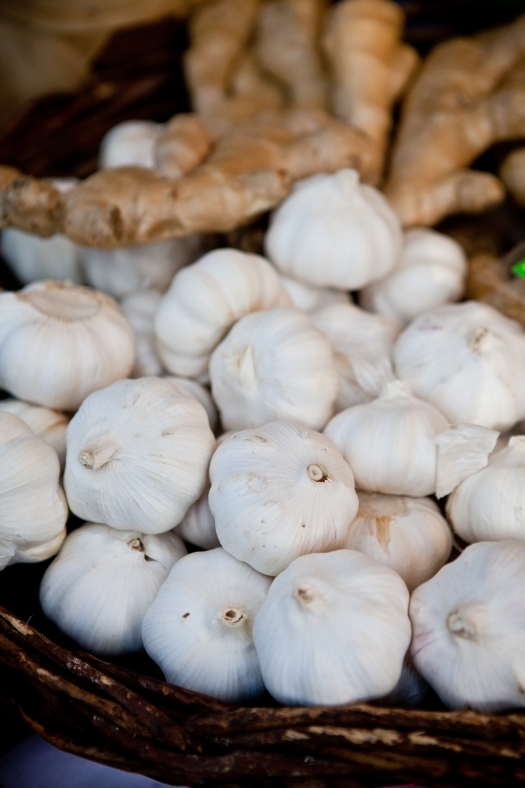 One of Bill's favorites is a Thai chicken and coconut soup that he had decades ago in New York City. I have tried many times to recreate it based on his description and you can guess I never quite got it right. So much is part of his taste memory and so much is part of the memories of the trip itself. One day, I finally decided to give up on that memory entirely and come up with a completely different coconut based soup. Luck would have it that I only had to look so far as to one of my favorite cookbooks, Noodles: The New Way by Sri Owen. This book is one of those in our kitchen that is open many times a week for inspiration. Cooked from a couple of times of month for satisfaction and permeated for ever with fragrances of star anise, ginger and mint. One of the recipes I had bookmarked from the very first day I got the book waited a whooping 10 years before I actually made it. Modified and made, I should say. And since then, I have made it ten times already. Trying to catch up on ten years without Shrimp, Butternut Squash and Coconut Soup..one bowl at a time! 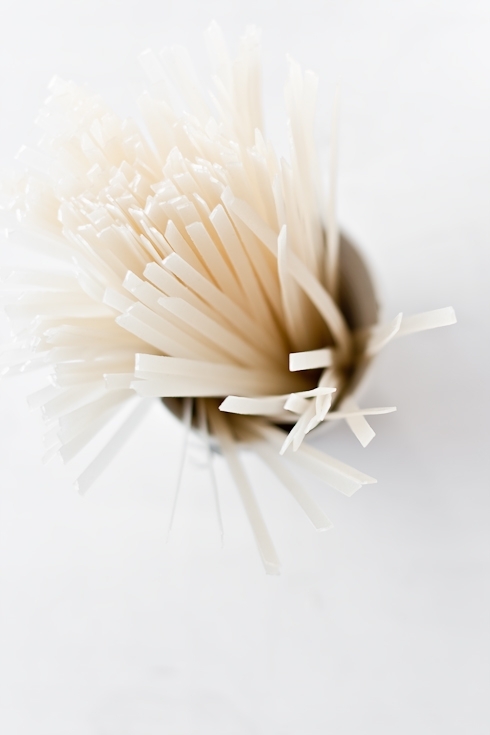 The original recipe in "Noodles: The New Way" was "Coconut, Tofu and Pumpkin Noodles". I loved all the flavors but modified to accommodate what I had in the fridge when I decided to make it the first time. 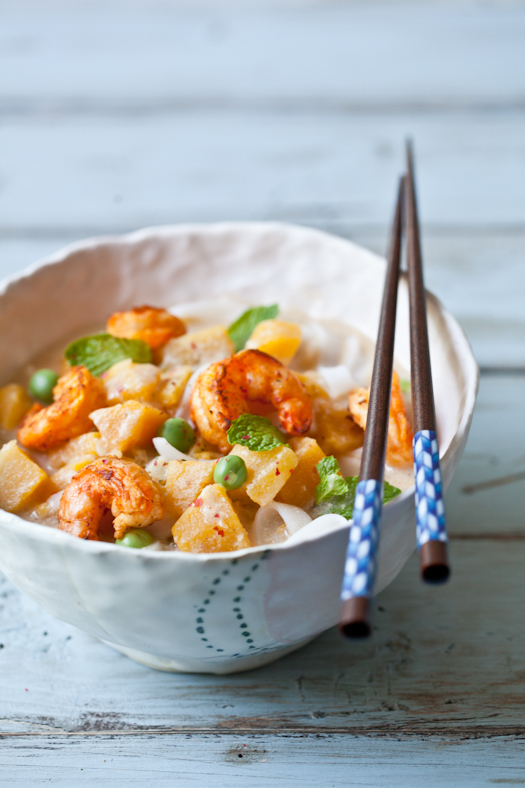 Pumpkin was replaced with butternut squash and shrimp made their way in our bowls, instead of tofu. Right now that shrimp are in full season, it's really easy to get a couple of pounds from the dock in the evening or from the market if we don't feel like casting our nets. Butternut squash are not in season anymore however so I have been using golden beets or baby turnips instead lately. Hope you have a wonderful end of the week...! 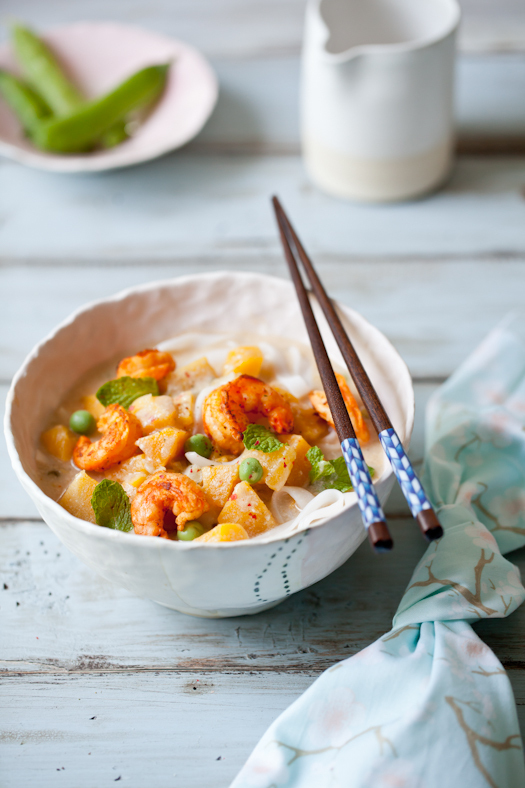 Shrimp, Butternut Squash & Coconut Soup, modified from Sri Owen in "Noodles: The New Way". 1 1/2 pounds unwaxed kirby or Japanese cucumbers, cut into 3/4-inch-wide spears. In a large saucepan, combine the water, garlic, bay leaves, lemon zest and chiles. Cover and simmer over low heat for 10 minutes. Uncover, add the salt and let the brine cool. In a small saucepan, combine the lemon juice and sugar and boil over high heat until reduced by half. Add the reduction to the pickling brine. Bring a large saucepan of water to a boil. Add the shrimp and cook for just 1 minute, then drain. Arrange the cucumber spears around the side of a large glass bowl. Put the shrimp in the center and cover with the brine. Place a plate directly on the shrimp and cucumbers and weigh it down with canned goods to keep the shrimp and cucumbers submerged. Cover and refrigerate overnight. 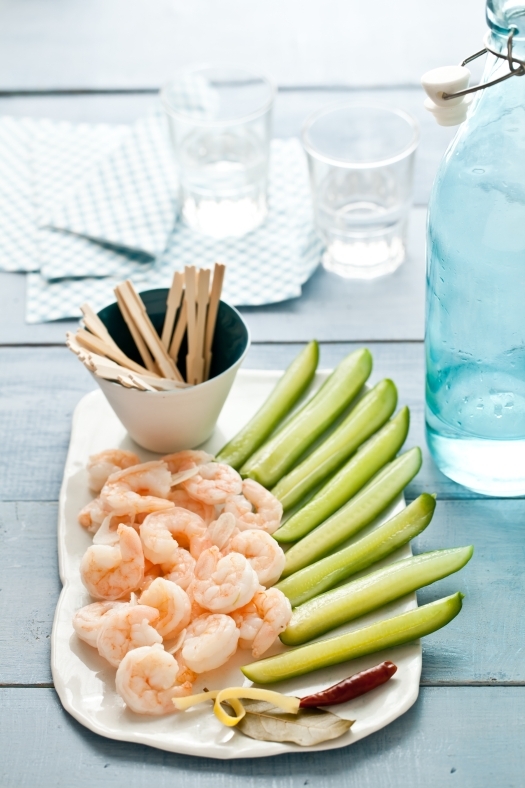 Arrange the shrimp and cucumbers on a platter and serve. I blog in my head all the time too. I think it's my way of processing what's going on, even if the thoughts never make it to the screen. Your blog is beautiful in little bites or big feasts! I blog in my head, talk to myself about the posts and edit them out loud. Then, when I've sufficiently discussed my next food blog post with myself in my head, I start trying to drum up inspiration for my next short fiction story - out loud. How will we ever know if we are going insane?? Your posts are inspirational and your photography is beyond description. I blog in my head too. Especially lieing oin bed at night. This soup sounds wonderful. Since we moved to Brisbane we can't just pop down to the waterfront to buy our prawns. Sadly I need to buy them from a fish shop. Very nice way to use the shrimps, and fresh shrimps! It can't be any better. Have a wonderful day! blog it's not my work to and sometimes I'd like to post everything that I think but it's impossible with my house, family and work, don't worry, it's so good to read your post that don't mind wait a bit longer!! What a wonderful post....Such beautiful thoughts, sincere moments recollected, recipe'd and photographed...always a delight to see, read and enjoy your work! I love this post! The most awesome blog posts are always written in my head. Then when it comes down to typing them out I have no idea where they've gone. I do the same Helene! I try to write the thoughts in my phone's notepad, but as you say, it's hard to do that in the shower or when walking the pup in pouring rain. Beautiful post. Love the way you describe things. The pictures are, as always, truly awesome. OMG yuuuuuummmmmmy!!!!!!! Those shrimp look so fresh and I'll have anything with butternut squash. there are so many blog posts that I do not actually post... time is what's the issue. But I like thinking about those posts in my head because it helps me be a better writer next time. This recipe, btw, looks oh so ah-mazing! and of course gorgeous. This is a beautiful post. I've only been blogging for 2 months and I know what you mean about the pressure of coming up with the exact right turn of phrase (for my maybe 2 readers!). This soup looks gorgeous too. Perfect for this rainy week in NYC. I think your readers regard your blog posts as a treat, a gift from you, rather than a required task you must fulfill. When there are gaps between your posts, my only concern is whether you are well. Warmest wishes and many thanks for the many gifts you so generously offer. I'm glad I'm not the only one who composes blog sentences in my head (I often think I'm going nuts). This soup looks utterly delcious! I love that you are living life to the full. That is such a blessing and can only be achieved by your own effort and following your heart. Shrimps from the dock! I am green with envy. I was thinking of spice variations for homemade crackers this morning while I was in the shower. I have 7 children ages 10 and under (the youngest is just a month old). It takes a lot of time to care for my family--plus I homeschool my children. I know my readers would love for me to post recipes more often. I just put up a recipe this week that I planned to post 7 or 8 months ago. I have running list of recipes that I hope to get up on my site this year. It's been interrupted by 3 different ones! I still have the list, though, and I plan to return to it as I am able to do so. I always figured with all of the testing, work, the many photographs, and experimenting, you are doing great with posting as OFTEN as you do! I would love to post once (and sometimes twice) a week, but there is so much of LIFE to live (and I love how you put that!) that it isn't possible to post that much. I have heard bloggers say that a blogger must post 3-4 times a week to be succesful (these are bloggers who blog for income, though). I have always felt that your site defies that logic; you have grown your business from your site to do what you love, and you don't post that often. When I have people asking me to write more often, I think of your site, and I realize that I don't have to write that often to do that. And so, I continue forth with confidence in putting up new recipes when I am able to do so. Thank you for taking the time to write this. I love the sentiments and admire your full life. It is nice to know there is someone else who blogs in her head all the time, too! The soup looks divine, one I know my family will love. I think I'll make it this weekend. Love this post - so much so that I'm featuring it in this week's Food Fetish Friday series (with a link-back and attribution). I hope you have no objections and I'm always inspired by your creations… Thanks so much for sharing. Nice looking soup! I am liking all of the flavours in it! Helene, what you say about blogging in your head - that's exactly me! It's refreshing to know that I'm not the only one who feels this way - I was starting to feel as if there was something innately wrong with me. I think about ceramics as I brush my children's hair; I take inspiration on colours I see as I go shopping; I think about mood boards and setting up a scene while I am in the shower...I'm way too much inside my head these days! The only difference is, YOU create such inspirational images (I am merely mediocre). So, thank you, for sharing your thoughts and reassuring me that life is so full of inspiration! It was a really sweet post :) I don't have a blog myself but I'm reading many different blogs daily (your included). Sometimes I play with the idea I would start one but I'm quite busy and I know I wouldn't have a time to write my posts as often as I would love to. I love your entries especially the cooking/baking ones. I was wondering, where do you find recipes? Do you ask at restaurants or you just try a random recipe from the internet and alter it? Last year my best friend took me to NOMA, it's a Danish restaurant and their dishes are so good it's impossible to express it with words. I thought it was a sort of localish restaurant and guess what? They won the world best restaurants award! I've been trying to guess the recipe of the dish I had there but it's impossible. I can get close but it's never as good as they make it. Gosh this looks stunning! Definitely adding it to my list! Que de belles idées à travers toutes ces recettes! Que de belles recettes publiées sur ce blog!